Midwives in Northern Ireland have voted overwhelmingly in favour of taking industrial action over pay disparities. Nursing and midwifery staff in England, Scotland and Wales have already received pay awards for the current year, backdated to April, agreed with their respective governments in differing three-year pay deals for 2018-21. However, in NI no pay award has been implemented due to ongoing political instability that has left the country without a devolved government for almost two years. 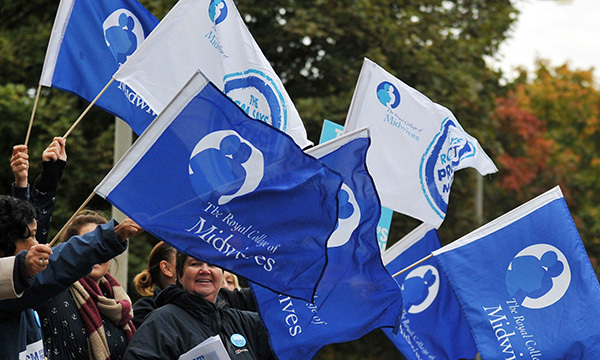 The Royal College of Midwives (RCM) consulted its members and 95% voted in favour of taking action – including striking – over the lack of a new pay award. The union says a midwife in NI at the top of her pay bracket will earn at least £2,000 less than her peers at the same level in England. Mr Skewes said that senior civil servants in NI had indicated that they were now in a position to address the issue and urged them to work in partnership with the RCM and other trade unions. The RCN has been consulting its NI nurse members this month about whether they want to a formal ballot over potential industrial action due to the absence of a pay award, but the results have not yet been made public. A spokesperson for the college said trade unions in NI were meeting again today and an update was expected soon.